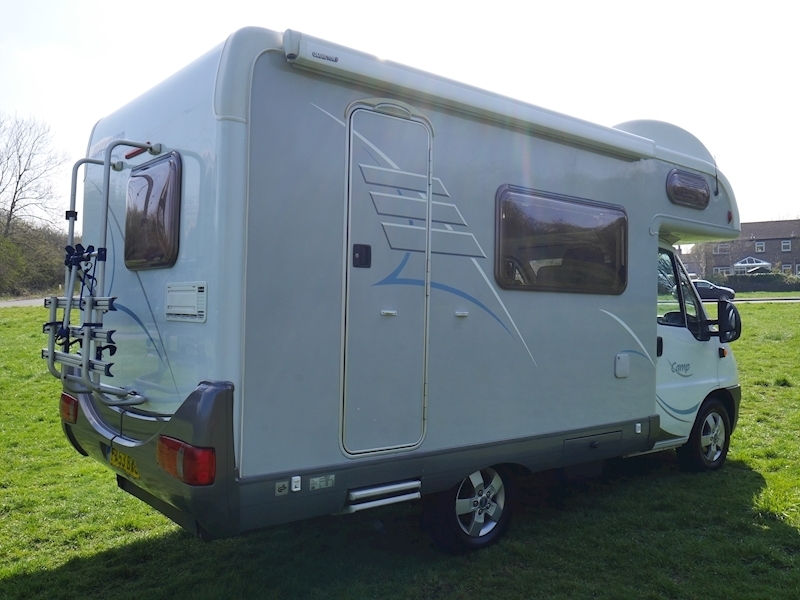 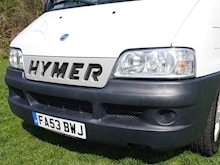 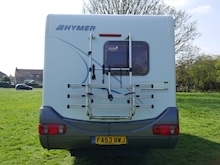 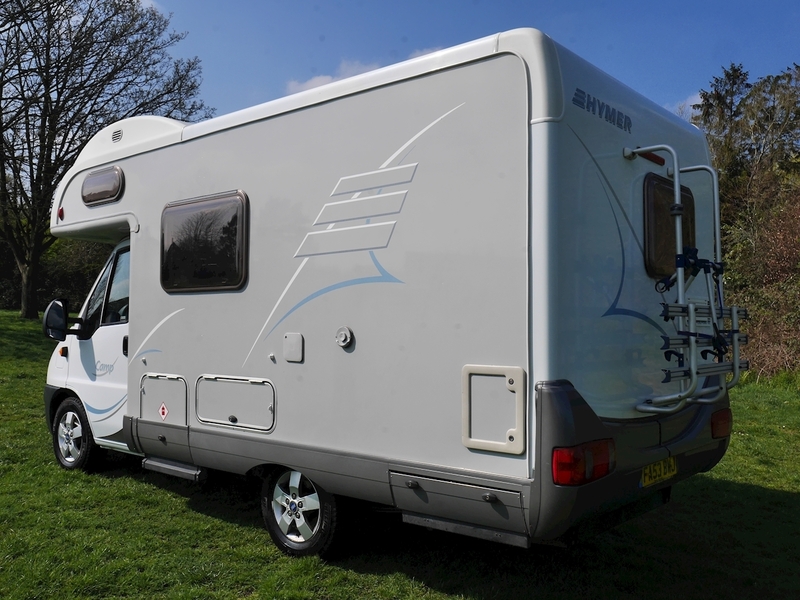 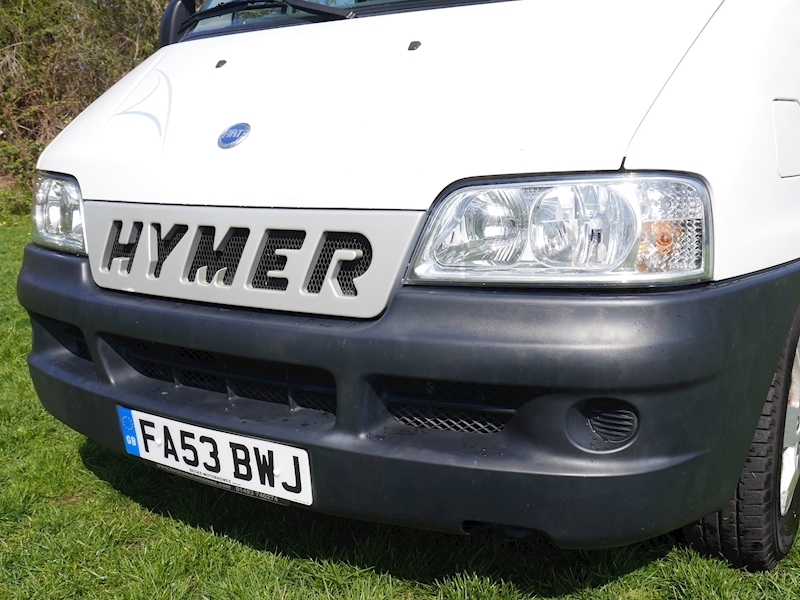 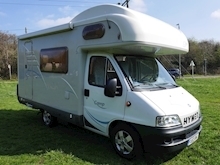 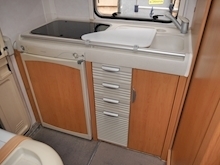 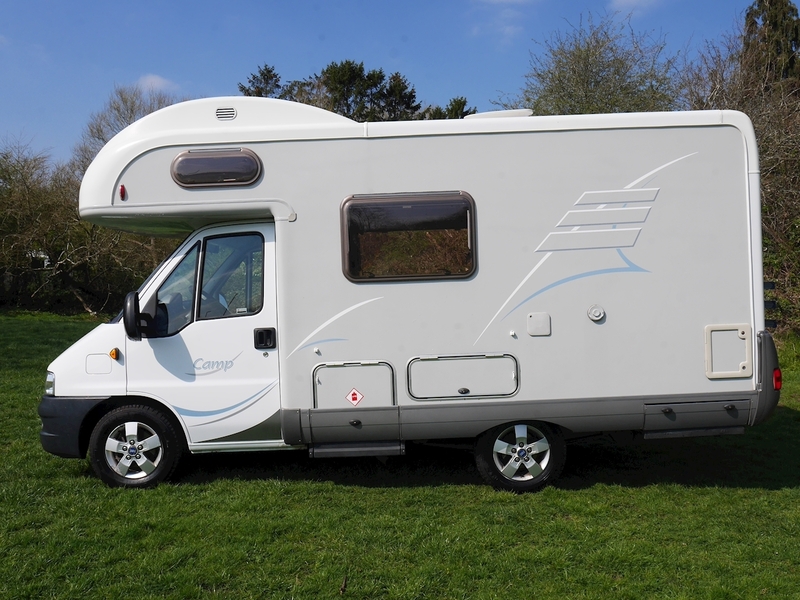 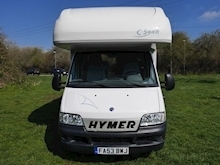 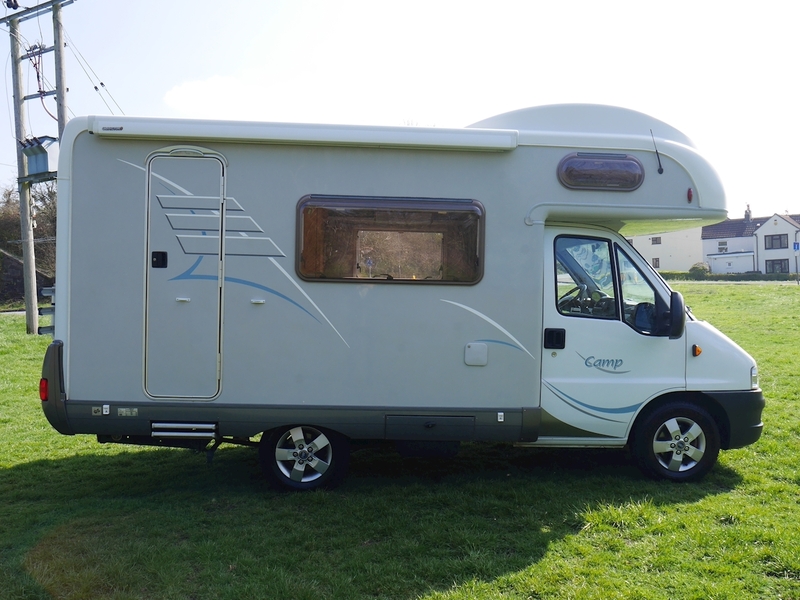 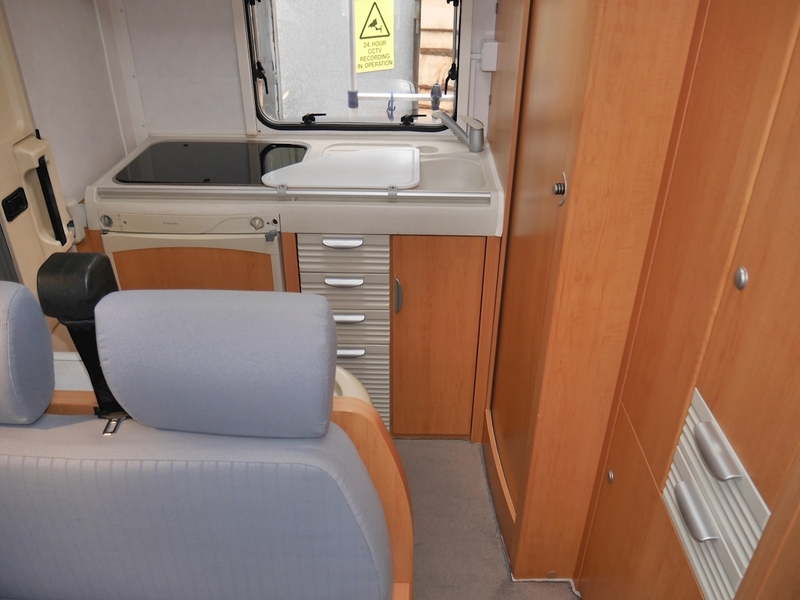 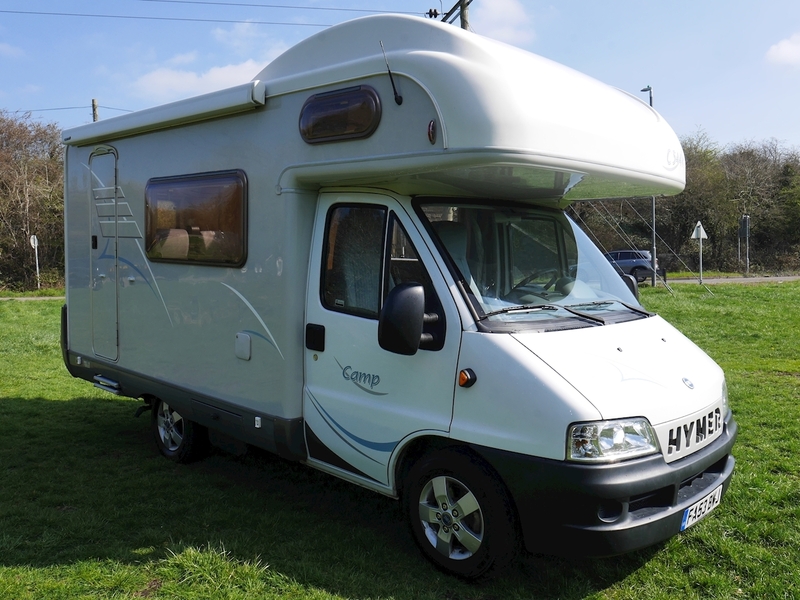 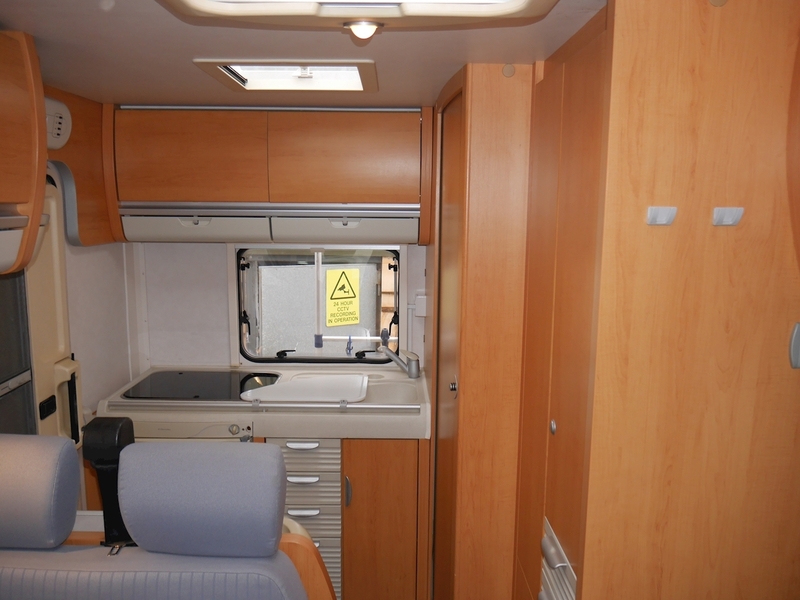 This 2004 Hymer Camp C544K is an excellent four berth motorhome, positioing a fixed overcab bed, front lounge/dinette and an end kitchen. 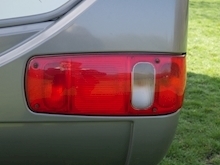 This particular example is also left hand drive. 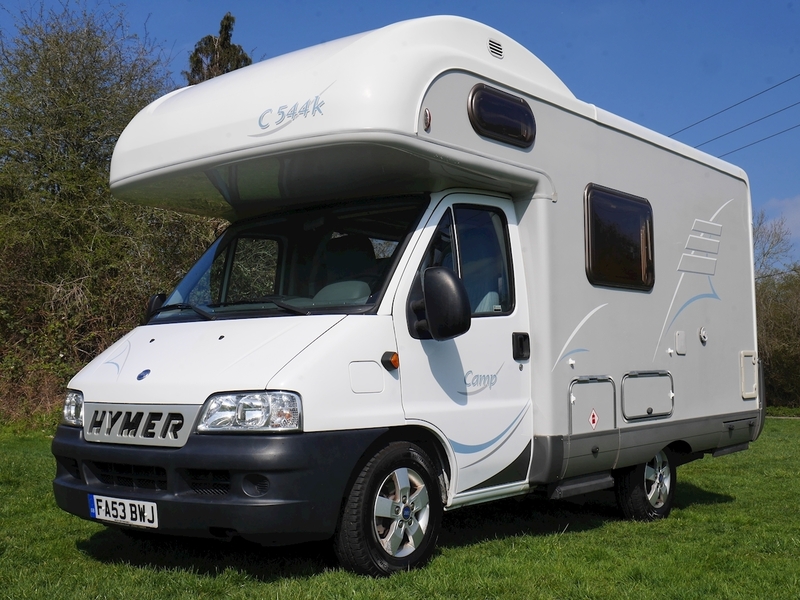 Externally, the traditional Hymer Grey paint finish gives the motorhome it's distinct appearance and combines very well with alloy wheels. 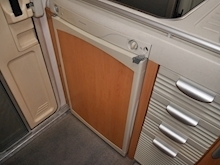 Taking a look on the offside you will find a reinforced habitation door, with a dual electric entrance step below. A Thule Omnistor roll out awning provides an outdoor living space when desired, whilst a useful pull out storage locker is found towards the front of the C544K. 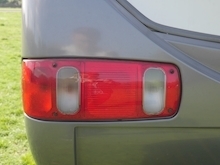 On the nearside is the remainder of the external configuration. You have the gas cylinder locker on the left hand side, two storage lockers, the water inlet point and the Thetford toilet locker. 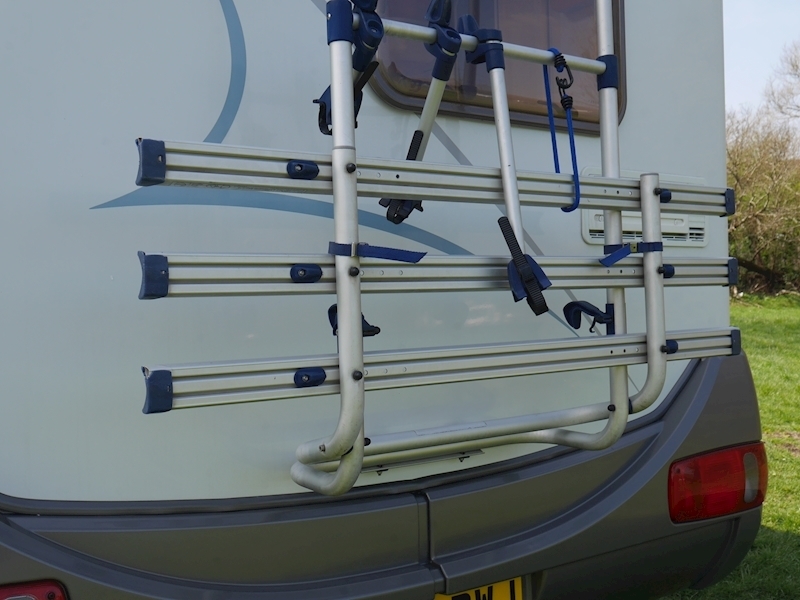 To complete the list of exterior specification there is a rear-fitted Thule bike rack. Moving to the interior you will find that the quality of the fixtures and fittings is of a very high standard. 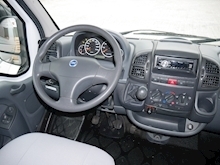 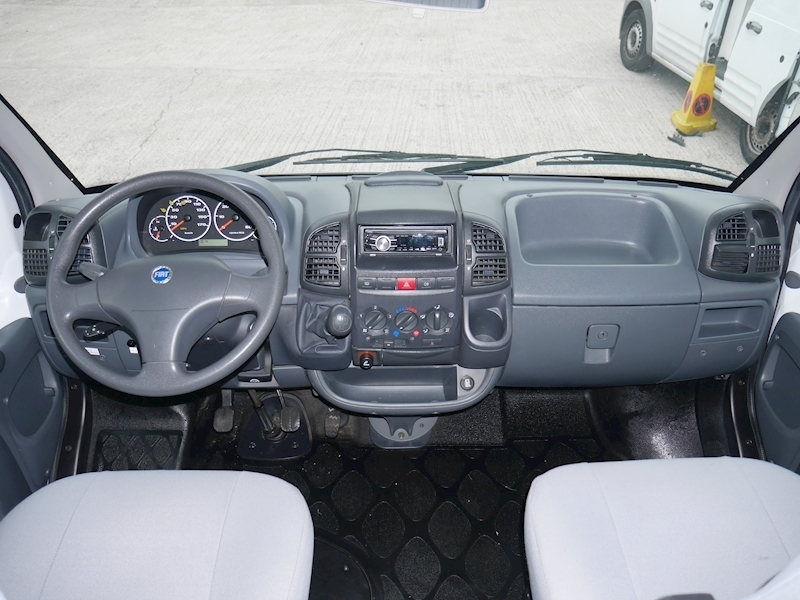 The front cab area is well equipped too, you have: ABS, power steering, electric windows and mirrors, cruise control, cab air conditioning, 12v socket and a radio player. 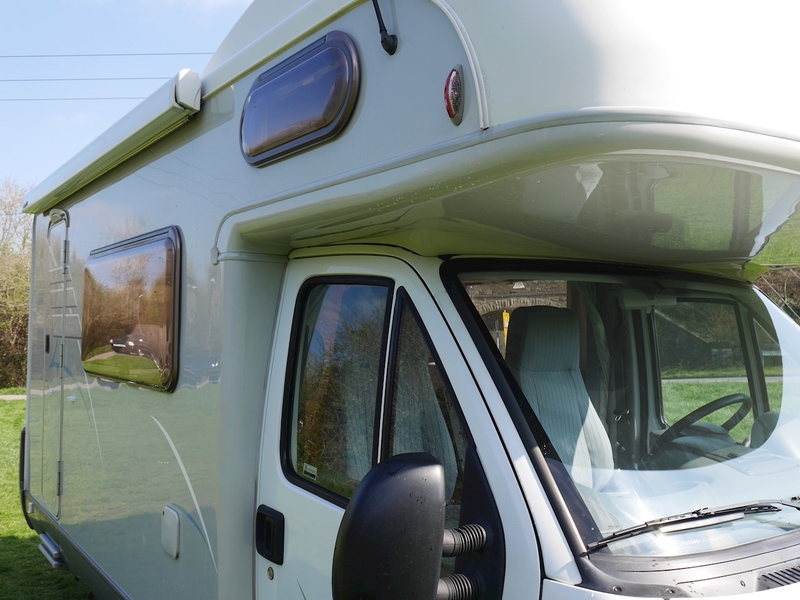 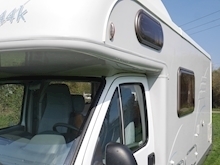 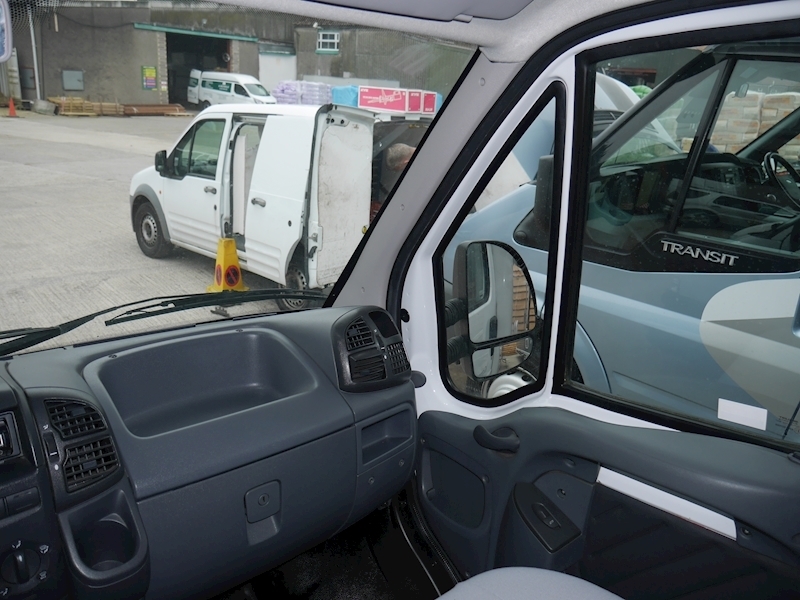 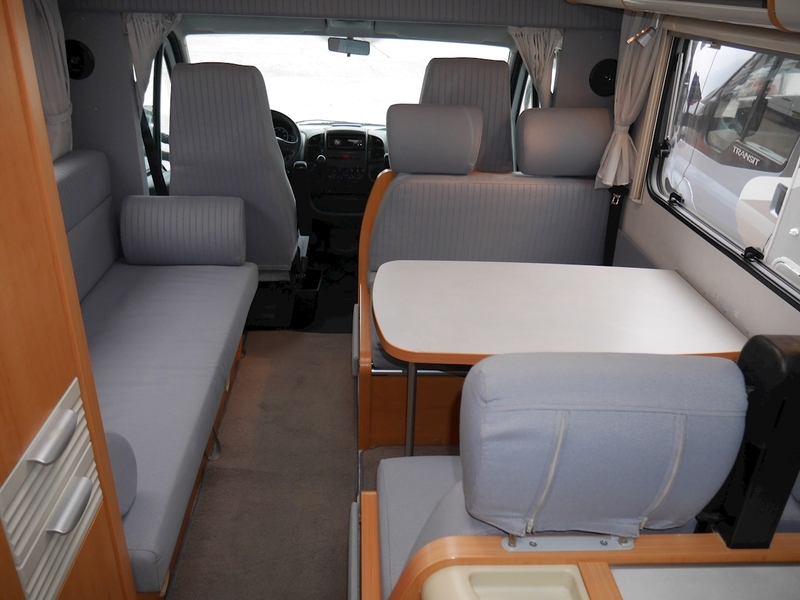 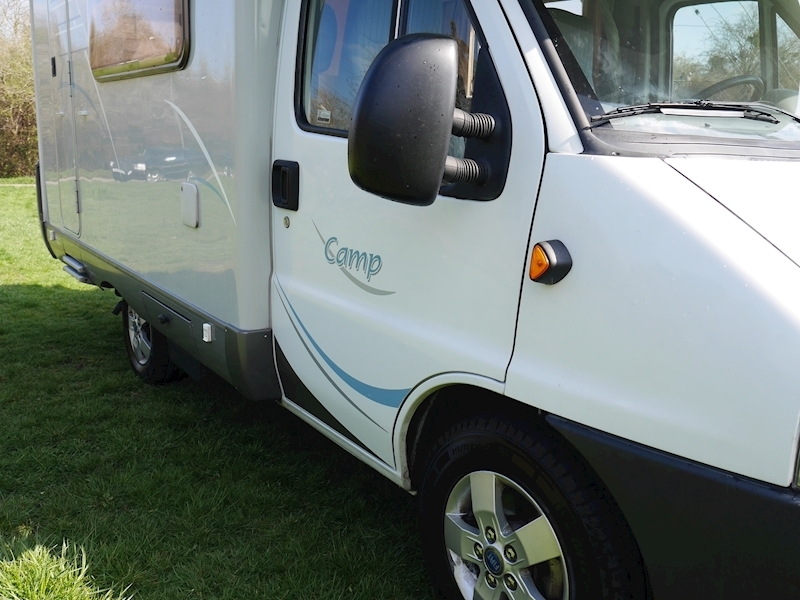 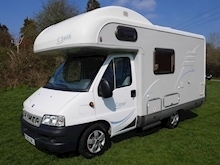 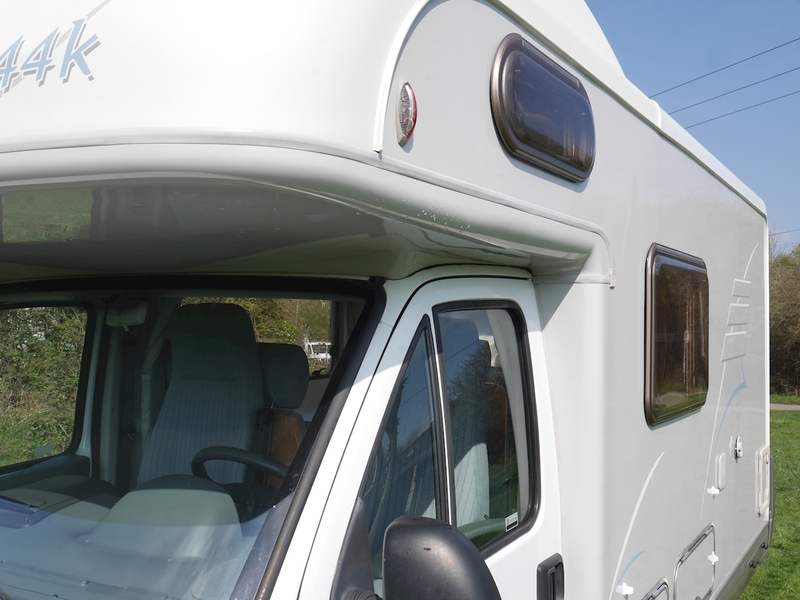 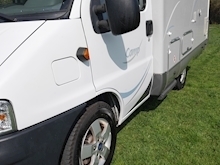 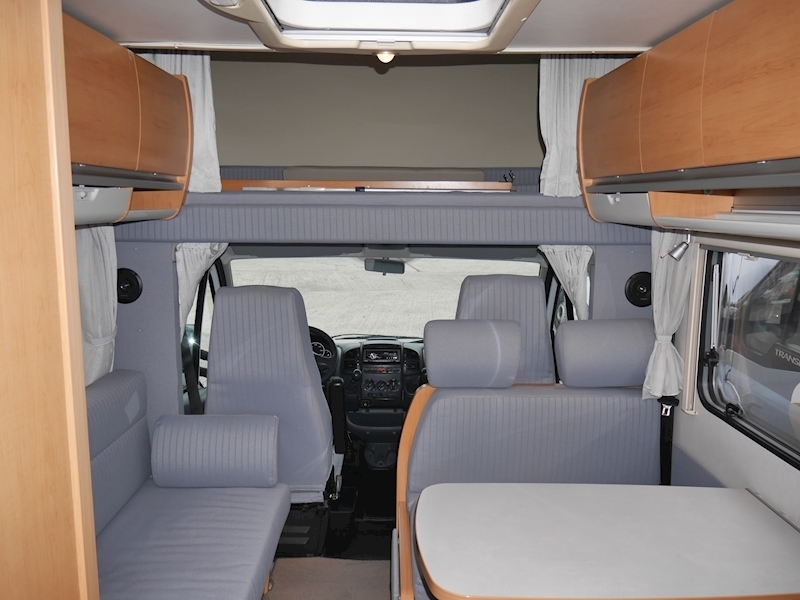 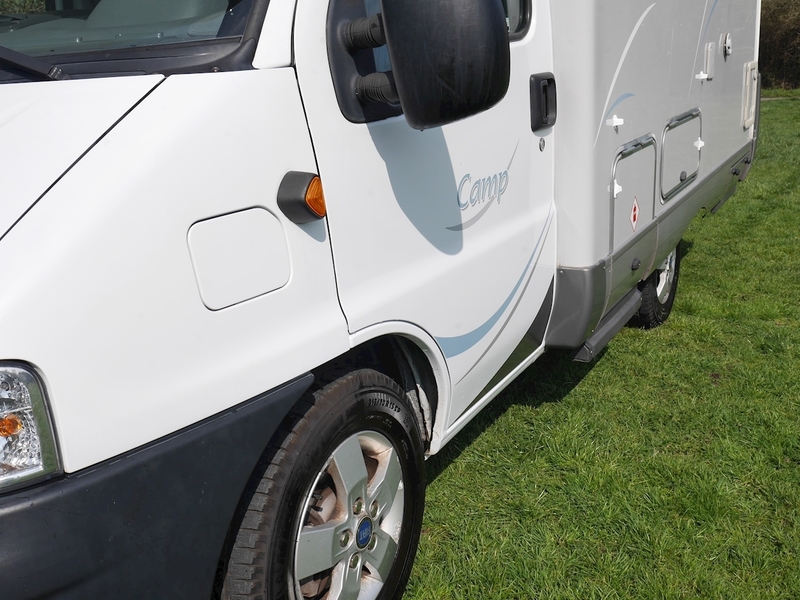 The base vehicle is the brilliant Fiat Ducato 2.8Jtd, which has covered just over 45,500 miles. 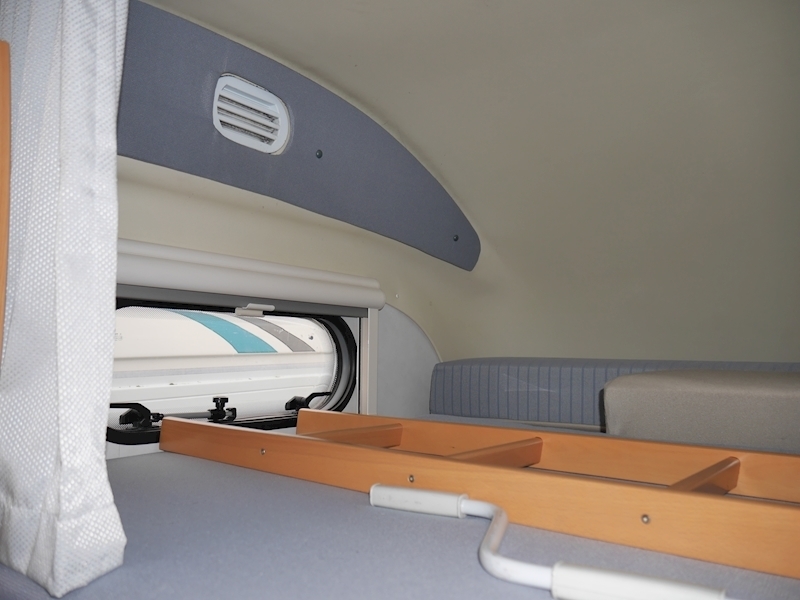 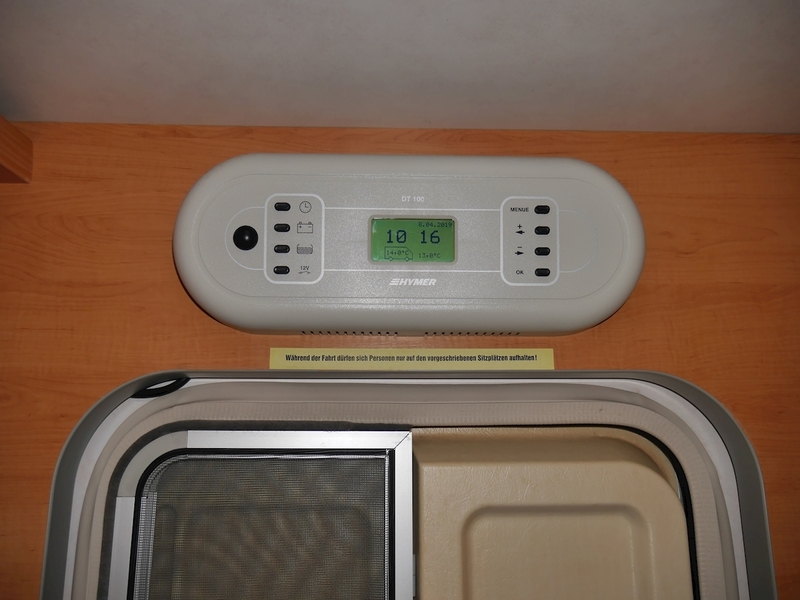 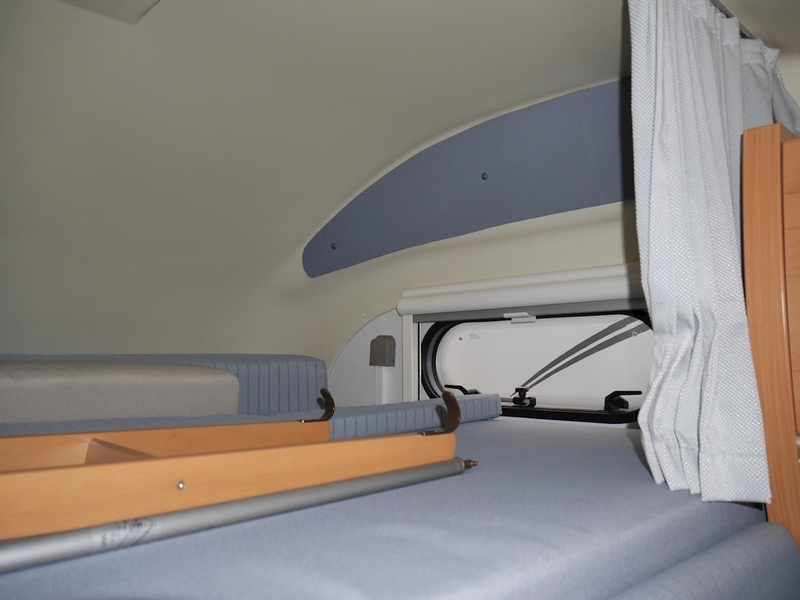 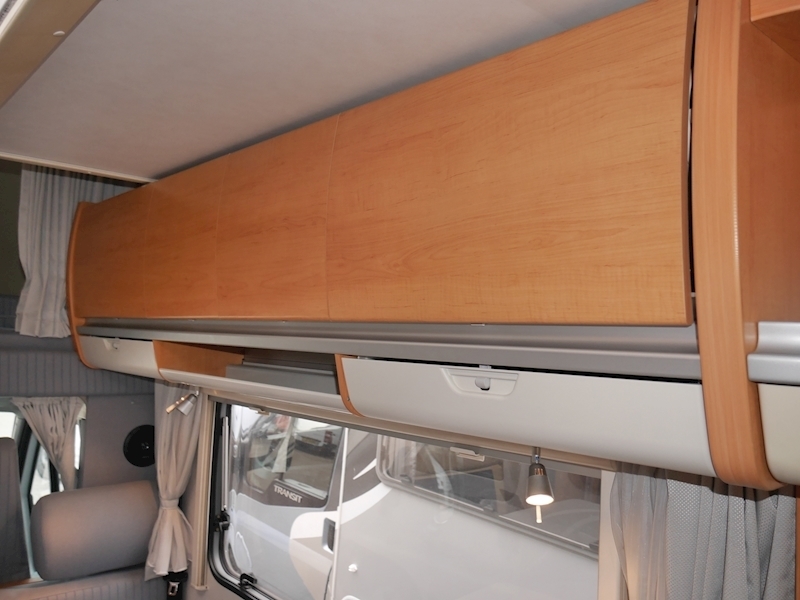 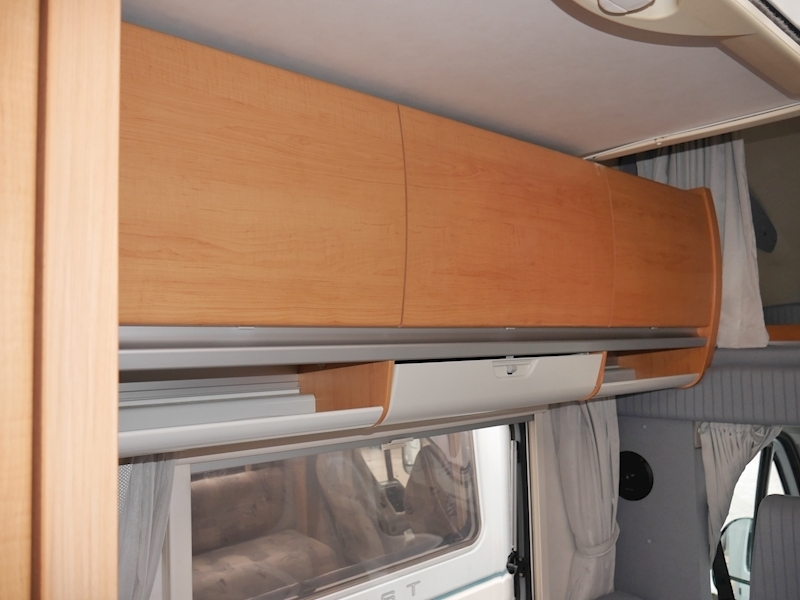 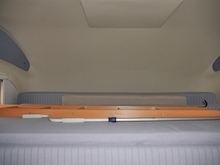 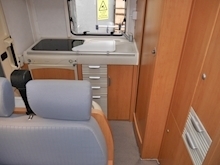 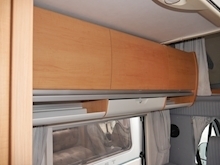 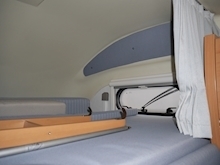 Above the cab area is the main sleeping configuration within a fixed double bed. 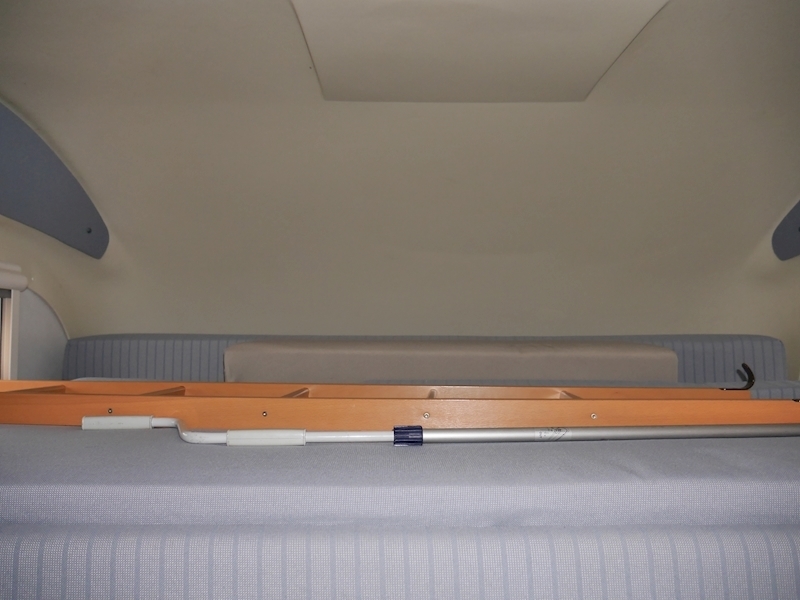 Windows either side feed the area with plenty of natural light, whilst access to the bed is made easy through a wooden ladder. 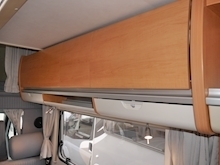 A curtain encloses the area when desired. 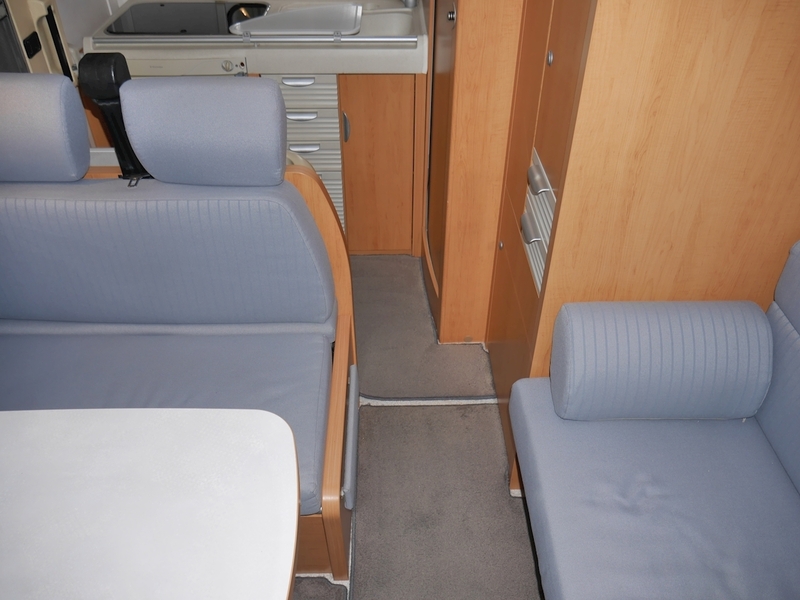 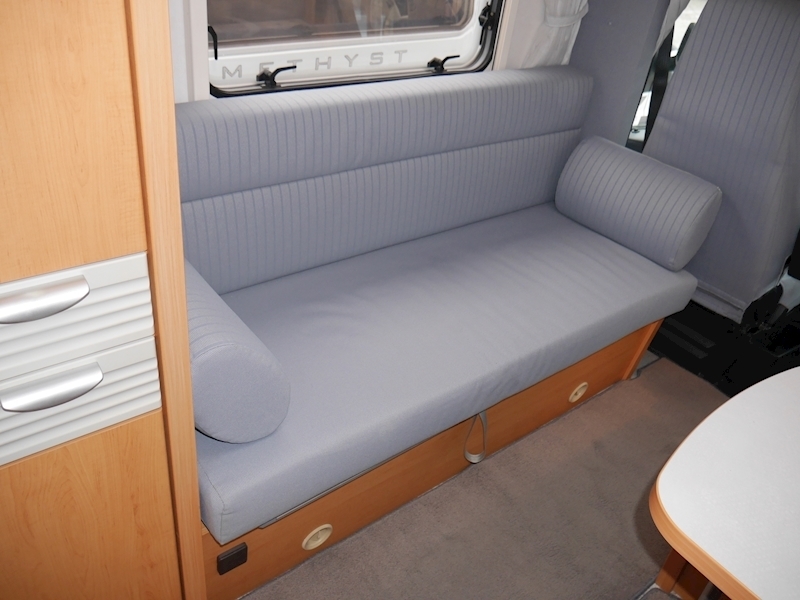 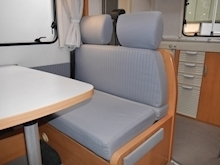 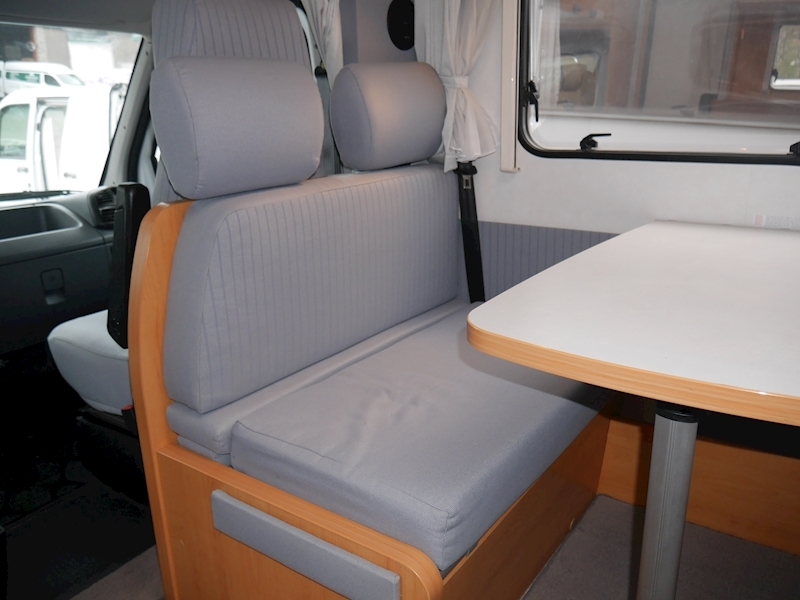 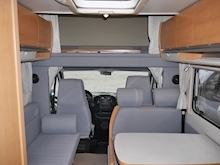 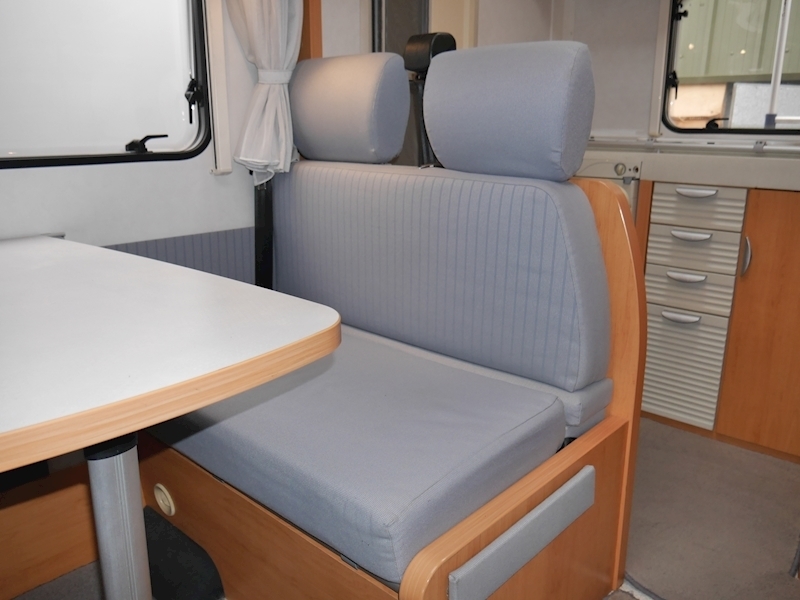 The front lounge configuration consists of twin facing bench seats and a large side settee. 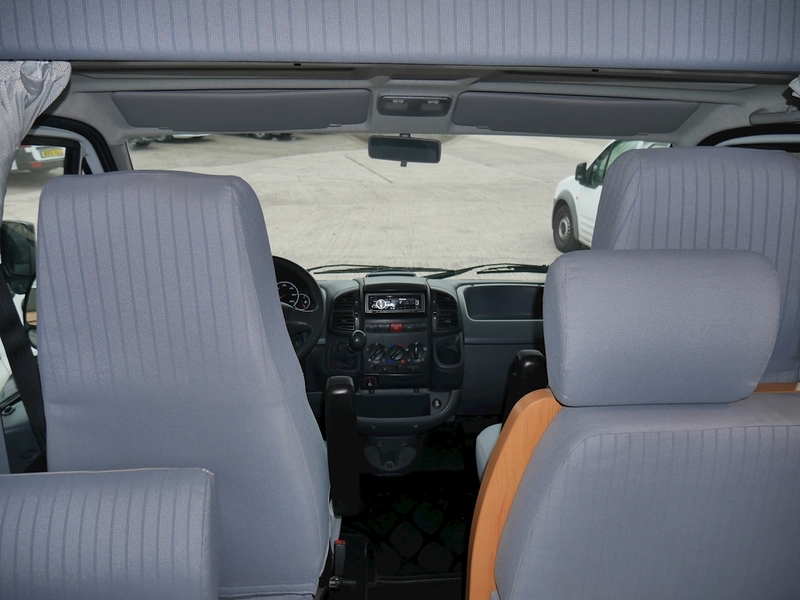 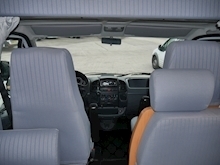 The bench seats are equipped with three point seat-belts, taking the total travelling capacity to four. 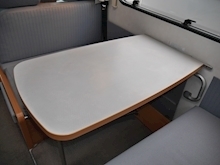 For dining there is a large table, whilst storage facilities can all be found within overhead lockers along with additional space beneath the seating. 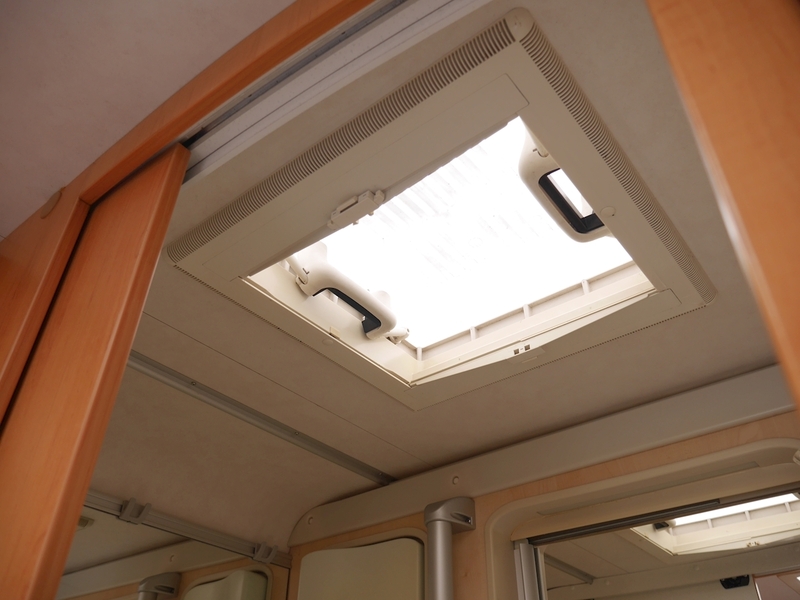 Lighting is very good too, you have side windows, a large roof-light and plenty of artificial sources. When required, the area converts into an additional double bed. The end kitchen is well equipped and laid out. 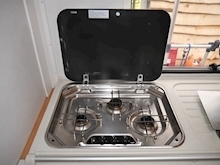 On the left hand side is a three burner hob, whilst a dual-fuel fridge freezer can be found below, completed with a wooden cover to blend with the surroundings. 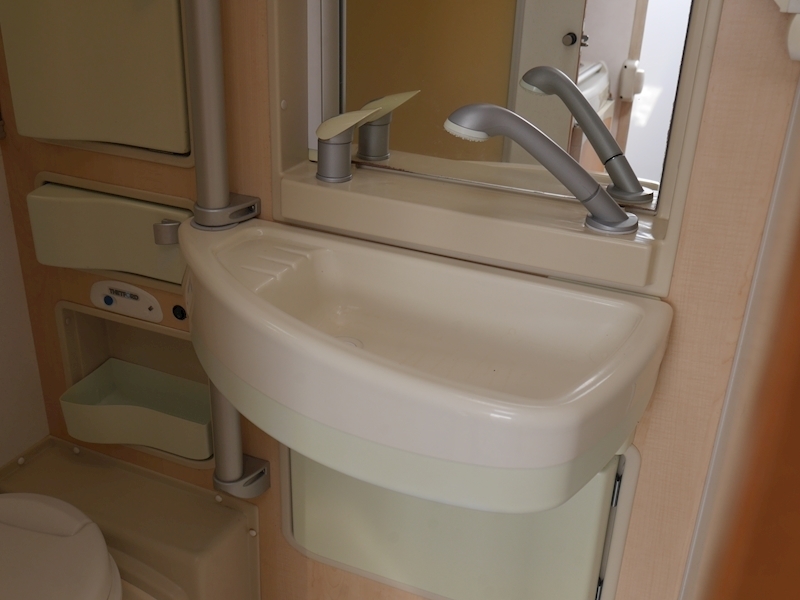 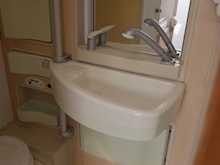 The sink unit is to the right and comes equipped with a mixer tap along with a drainer. 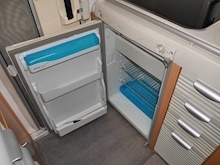 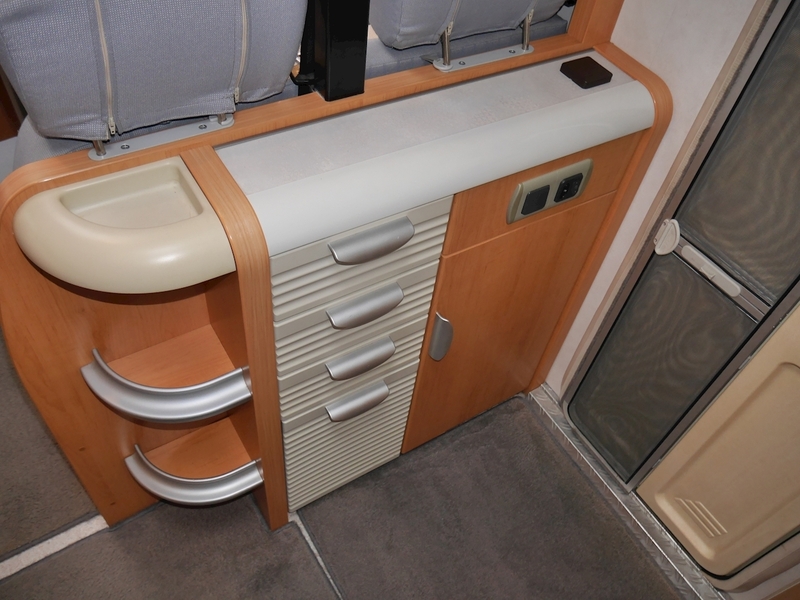 Storage can be found within overhead lockers, cupboards and drawers. The washroom area is to the right of the kitchen. 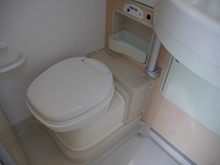 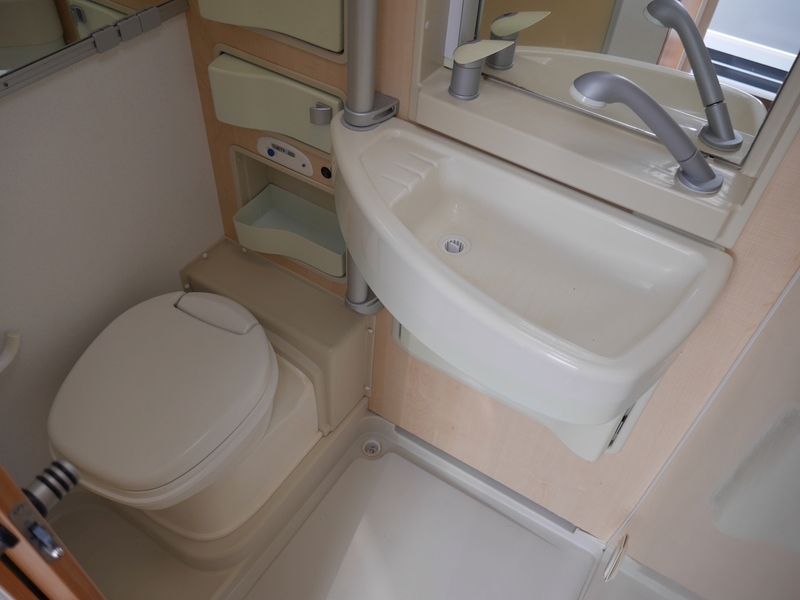 Sliding the door across you will find a Thetford electric flush swivel toilet. 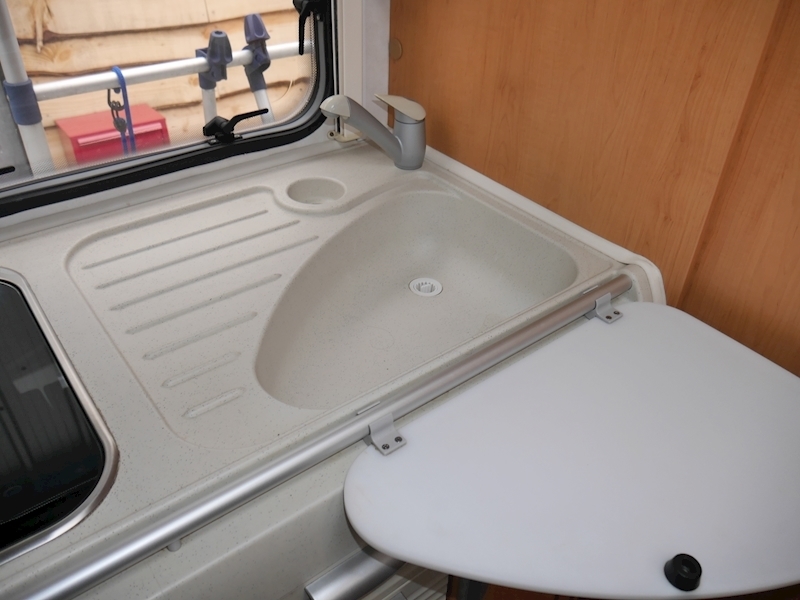 To the right is the wash basin, which is equipped with a vanity unit and a multi-use mixer tap (becoming your shower head when required). Why buy from us? 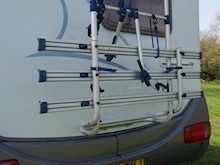 Plenty of reasons! 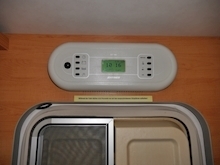 therefore please call prior to leaving.